Benjamin Franklin (1706-1790) is someone who has crossed the paths of a number of protagonists in books I have read on the history of science, including Antoine Lavoiser, Joseph Banks and the Lunar Society. I thought I should read something on the man himself: “The First American: The Life and Times of Benjamin Franklin” by H.W. Brands. Franklin trained as a printer, as an apprentice to his brother. This was a route into learning since he got to read a lot, interacted with learned men and also started writing, when his brother launched a newspaper in their hometown of Boston – one of the early campaigns of this newspaper was against vaccination for smallpox. In the later years of his life he set up a printing press at his residence at the edge of Paris. Franklin ran away to Philadelphia before his apprenticeship finished, making his first trip to England to learn more of his trade with the (moral if not financial) support of the governor of Pennsylvania. This is another example, like Edmond Halley, of rather precocious responsibility which was not so unusual at the time. It turns out the publication of almanacs was lucrative, as was his printing work for the Pennsylvania Assembly. By the 1750s, only in his forties, he was able to step back from his business and carry on earning a good income from it. His trade as a printer seems to me important in honing his writing skills and getting his opinions out in the public domain. I picked upon Benjamin Franklin primarily for his work as a “scientist”. The first substantial mentions of science in this book come around 1743, it is at this point he founds the American Philosophical Society and does work on a more efficient stove (which he refuses to patent), although in 1726 he is found making observations of a lunar eclipse on his return trip from England. This suggests a scientific turn of mind from a relatively young age. A few years later he is doing original and well-regarded work on electricity, as well as recommending the use of pointy lightning conductors (of great practical importance). He did some work relating a little to my own field: the spreading of oil and water as well as evaporative cooling, the Gulf Stream and some earlier thoughts on meteorology (this seems to strike a cord with some later proposals by Erasmus Darwin). When Franklin was born Pennsylvania was in the hands of the Penn family, known as the proprietors – other states were controlled directly by the Crown via Royal governors. For much of his life Franklin considered himself to be British but by the end, the United States of America had become a newly minted nation with Franklin a pivotal figure in its creation. I suspect the causes of the War of Independence are the subject of many books. The battle cry of “no taxation without representation” has taken popular hold as a motivation, although at the time the British living in Britain were taxed with not very much representation, this taxation cause is certainly the theme that Brands follows. Also relevant was colonial support for the British in battles against the French, for which they felt little gratitude and that the British gave up in diplomacy much of that which they had paid for in blood. Ineptness on the part of the British political establishment and George III also plays a large part. Franklin’s part in the War of Independence is played politically in London in the run-up to the war, in France during the war – to garner their support, and finally in Philadelphia where he is heavily involved in the creation of the United States of America. Throughout his life Franklin was a civic activist, a community politician, setting up the Junto (something of the character of the Lunar Society) and the American Philosophical Society (more like the Royal Society). He also founded fire brigades, a Library Company, an academy and a militia. In a sense the United States of America were the culmination of this civic activity. For much of the last 25 or so years of his life, from 1757, Franklin was resident in either London or Paris. In London as a representative of the Pennsylvania assembly to the British state, and in Paris similar when their help was sought in the war against the British. 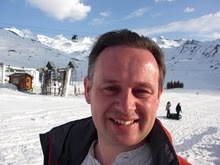 He appears to have fitted well into high society, and been exceptionally highly regarded in both countries. No doubt this is in part due to the formal position he held but prior to his arrival he was known in both cities via his interactions with learned societies (the Royal Society and the Académie des Sciences). He strongly considered staying the rest of his life in London, which is odd since his wife was unwilling to join him there. 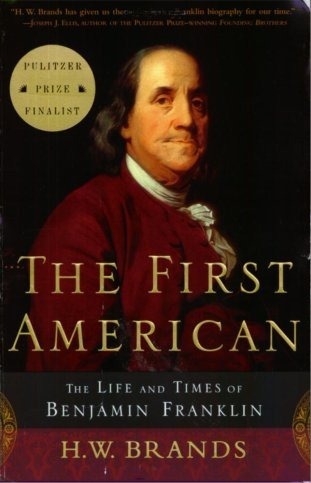 In the same way that Poirier’s biography of Lavoisier introduced me to the French Revolution, this book on Franklin has introduced me to the American War of Independence. It’s like sneaking vegetables into a child by hiding them in something they like! My Evernotes on this book can be found here.